Did you know that, according to a 2013 study published in Arthritis Care and Research, almost 1 in 3 adults suffer from a bunion deformity? The numbers are even higher if you’re older or female. That’s a lot of misaligned toes! The good news is that taking care of your feet, such as avoiding high heels and other uncomfortable footwear, can decrease your risk of getting bunions in the first place, or manage the pain if you already have them. 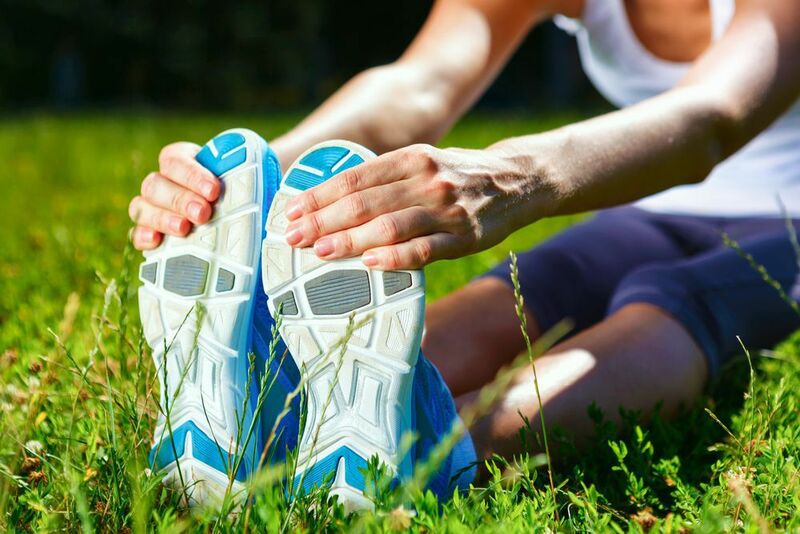 Another tactic is to keep your feet and toes strong and flexible through stretching and exercise. Simply stretch your toes while you sit. Point them upward as far as you can and hold for 15 seconds, then curl them under your foot and hold. You can also enlist the help of a wall for this exercise, pressing your toes against the hard surface. Resistance toe exercises are also highly recommended. Sit with your legs outstretched and wrap a towel or belt around your big toe. Pull on the belt while pushing forward with your toe. You can even use your fingers to (gently) push and pull your big toe to stretch the tendons. Pull it back to its proper position (it shouldn’t hurt) and hold. We also recommend a couple of great seated exercises for toes—you can do these while sitting at the dinner table or even watching TV. Place a graspable object, such as a pencil or marble, underfoot and pick it up with your toes. You can even set out a number of marbles, pick them up, and deposit them in a bowl. This keeps toes strong and flexible. You can also do the same sort of exercise with a small hand towel. Curl your toes and pull the towel toward you, then extend it back. Placing a golf ball or water bottle on the floor and rolling it under your foot can also help you relieve cramping and pain. If you have a bunion or other foot problem causing you pain, don’t sit and suffer in silence. Visit Dr. Harvey Danciger for expert analysis and treatment. He offers a full range of services for foot and ankle conditions, including advanced technologies such as laser therapy. To schedule an appointment, call us at 760-568-0108.